Have you thought about using your embroidery hoop to quilt? The Amelie Scott book, Edge-to-Edge Quilting, can get you started! This technique achieves the long-arm look without the big machine and is suitable for any sized quilt. 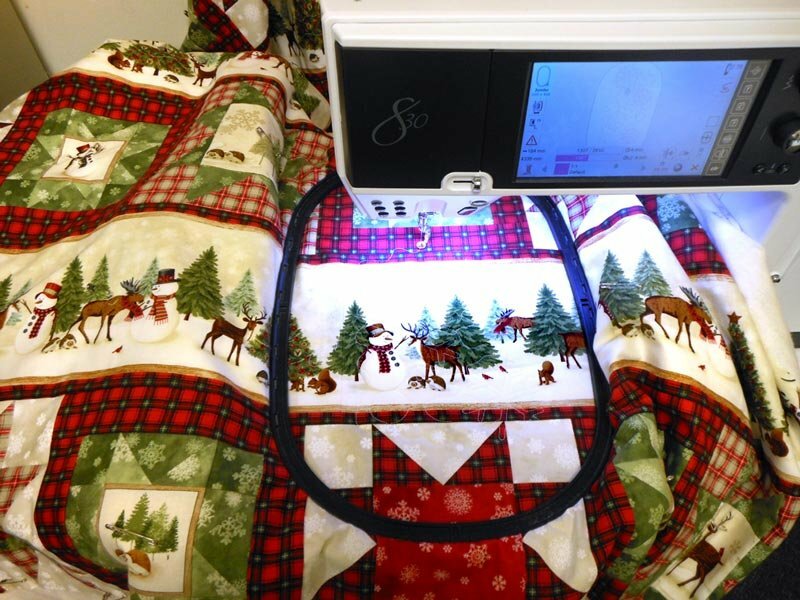 Join the fun and learn tips and tricks from Nancy, who has used this method for her own quilts. You'll have beautifully quilted quilts in no time! Your machine must accommodate either a 7.8” x 13.8”, 6.7” x 11.7”, or 5.6” x 9.9” embroidery field. One design from CD in book downloaded to your machine or on a USB stick. Make sure have both the A & B parts of your design. *Bernina machines: Jumbo, Maxi or Mega hoop. The large oval will not work with this program. Layer the above 3 with the 28” cotton fabric centered of the batting. Secure with several safety pins.